Perfect present for a gent! 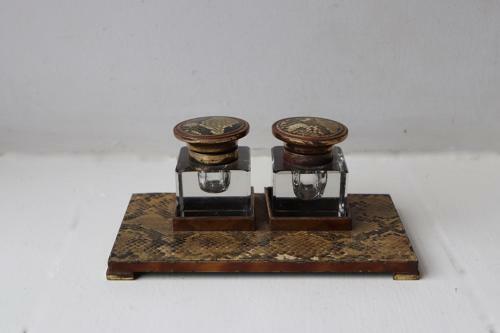 Art Deco inkwell set with snakeskin decoration. Apart from a small chip to one of the bottles (as can be seen from the photos) it is in very good condition.